CDPHP has teamed up with Delta Dental to provide you with high quality dental coverage at affordable prices. Delta Dental of New York, Inc. is a separately licensed dental carrier that is a member of the Delta Dental System with regional headquarters in Mechanicsburg, PA. Although we are separate companies, CDPHP and Delta Dental work closely together to ensure your benefits are administered as seamlessly as possible. You can use any dental provider, but receiving treatment from a dentist who participates in the Delta Dental PPOSM network will usually save you the most. Pediatric dental coverage is required for small group plans under the Affordable Care Act (ACA). When you enroll in a Delta Dental plan, you will obtain the essential pediatric coverage you need. If you do not select a Delta Dental plan, CDPHP will ensure you receive this required benefits. If you and/or your dependent(s) have the required coverage elsewhere and you wish you to disenroll from the Delta Dental Pediatric Plan, you can complete the Essential Pediatric Dental Coverage Attestation Form. 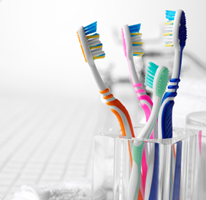 Save on your out-of-pocket costs and protect your oral health. When you visit a Delta Dental dentist, pay only your portion for services. Your dentist will file claim forms for you and receive payment directly from Delta Dental. Many non-Delta Dental dentists ask that you pay the entire cost upfront and wait for reimbursement. When you visit a Delta Dental participating dentist, generally you can expect to have a nominal deductible and full coverage for routine cleanings and preventive services, including X-rays. The details of your dental benefits depend on the plan chosen by your employer. Ask about it at work or login to the Online Services section of the Delta Dental website to learn more. See Delta Dental’s oral health resources tool for tips and information that can help keep your smile healthy. See Frequently Asked Questions to learn more.